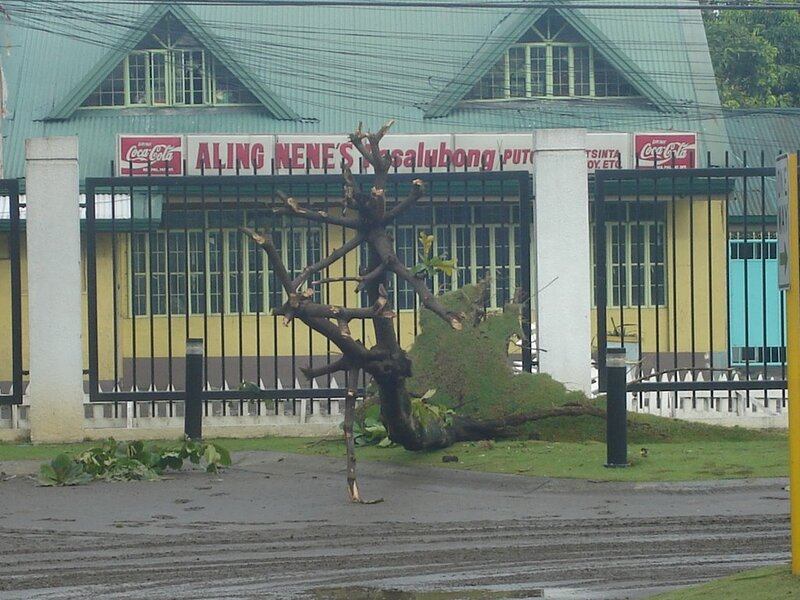 Well, Typhoon Milenyo's come and gone, and his (her) signs of passing are everywhere. We were a direct hit by the storm. Coz we "felt" the eye of the storm passing us at 11 to 12 noon. At this time, all the wind stopped. Even the rain stopped. You'd be tempted to come out and fix stuff. But the weather bureau was right on the dot this time around with their forecast. At 12 noon, everything went crazy again. 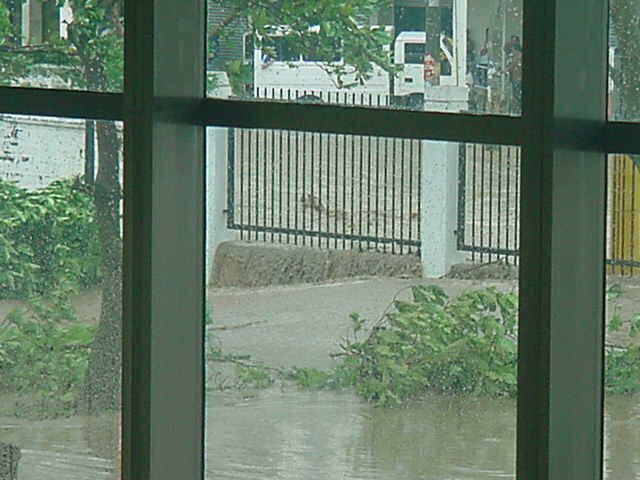 At around 2pm, the winds died down, but the floods - there was a virtual river in front of the office. Three vehicles that were just left there. It was too late to get them out. Here's the spot where I used to be parked - near the small yellow post in the foreground. 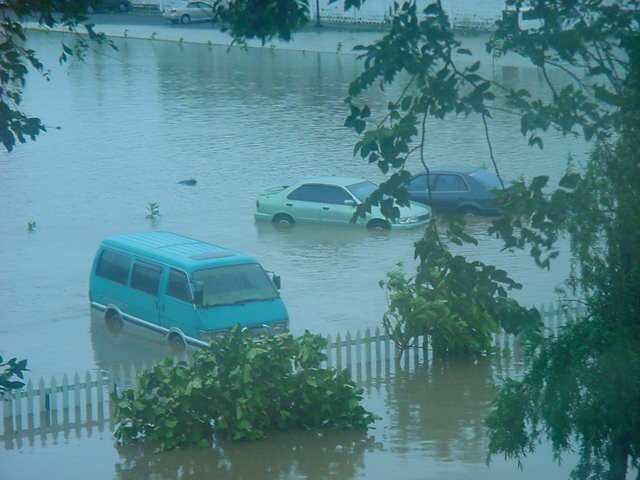 My car was bearing the brunt of the onslaught of rushing floodwaters. Cars parked to higher grounds. 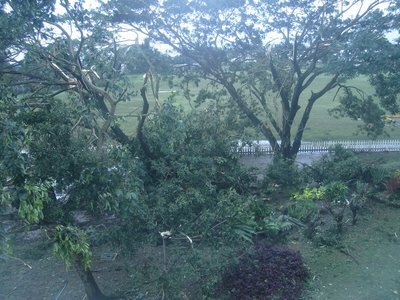 Mine's the blue-green Revo facing the steel fence near the front road. It was tough to get a safe spot. 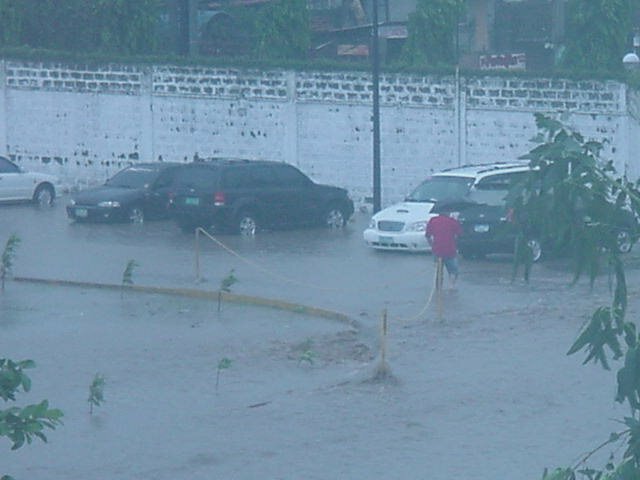 The whole parking lot's flooded to mid-knee and it was either to park them on the garden or on the sidewalk. 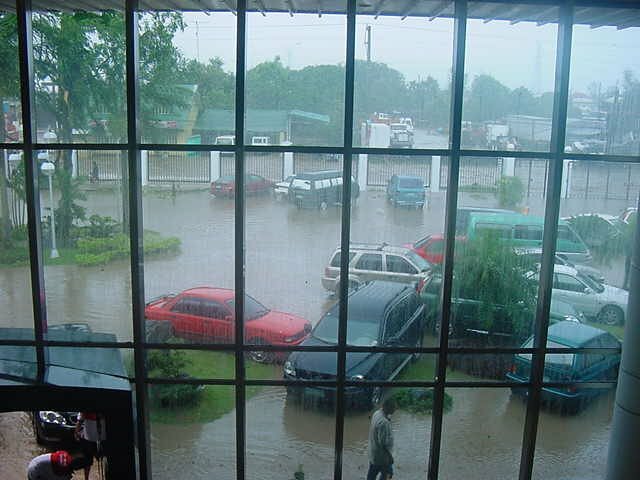 Suffice it to say that the water got into the lobby and some of the offices (including clinic). 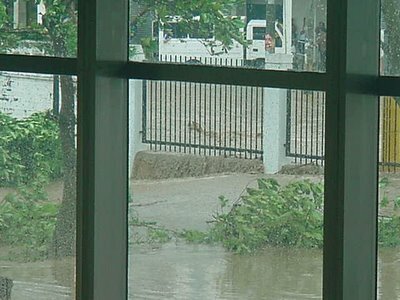 A mini-falls coming in from the "wild river" on the road through the steel fence. The once majestic shady acacia tree now looked like chopped veggies here. 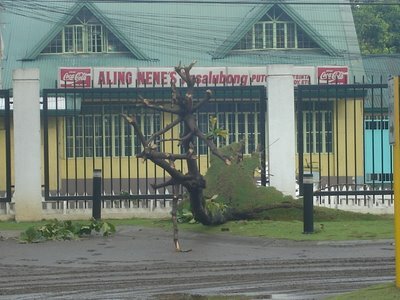 An uprooted tree at the front. See the nice manicured piece of the lawn that was lifted up? The branches were cut AFTER the tree fell coz it was blocking the way.